Two high-profile software creators in the reverse mortgage space have announced a partnership in the aim of streamlining the hand-off between reverse mortgage loan origination and servicing. Bay Docs, LLC and Reverse Technology Group (RTG) will be integrating the technology platforms of both companies in order to make the transition between origination and servicing more seamless, with users of Bay Docs’ Reverse Express software now having the ability to automatically push loan servicing data and loan closing documents directly to RTG’s ReverseQuest loan servicing platform. The partnership between Bay Docs and RTG provided a reasonable path forward for both companies, according to Bay Docs, LLC President Megen Lawler. In terms of how long both parties expect this partnership to last, the companies see this as an indefinite and ongoing arrangement. “We anticipate that this partnership will last for as long as each of our respective platforms exist,” Lawler told RMD. 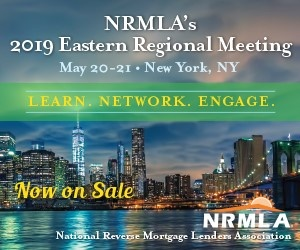 The automated integration of the two platforms aims to eliminate data errors and challenges that stem from missing loan documents, and to enhance the servicers’ ability to, “get their job done quickly [while] creating a better experience for the borrower,” the statement said. Existing users of both platforms independently will also be able to take advantage of this partnership. RTG’s ReverseQuest launched last March from Gherardi, a co-founder of Reverse Mortgage Solutions before launching RTG in 2016. ReverseQuest is a cloud-based solution that allows lenders to service their own customers’ loans, including functionality to ensure compliance, interface for Home Equity Conversion Mortgage-backed securities issuance and curtailment prevention tools. Most recently, RTG launched a portal website that allows reverse mortgage borrowers to access their account information online.